A graduate of the Amadeo Roldán Conservatory in Havana, César has over 38 years experience performing in Cuban salsa orchestras. At the age of 17, he began performing nightly in the cabarets of Havana. By his 20's, César was traveling throughout Europe and Latin America with groups such as Manguaré, Orchestra Pacho Alonzo and Grupo Guaicán. Other groups of which he was a member included Orchestra Cubana de Música Moderna and Orchestra del Teatro Sauto. Since 1977, César has also worked steadily as a studio musician in Cuba (EGREM) and more recently in New Mexico. 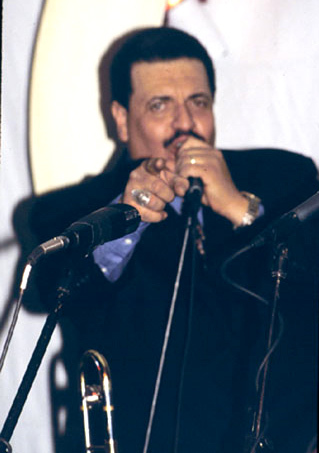 Some of his other musical accomplishments include being chosen by Arturo Sandoval as trombonist for Dizzy Gillespie's All-Star Orchestra (Havana Jazz Festival, 1989) and performing with renowned Puerto Rican cuatro player Yomo Toro (Albuquerque, NM, 1994). In addition to Son Como Son, César performs regularly on trombone, congas and keyboards with a variety of local bands including the jazz ensemble Tetragon, the Caribbean mix band Pandemonium, and the theatrical band A Slice of Life . He is also a member of Tá-Bení, an Afro-Cuban percussion ensemble which specializes in demonstrating the highly complex rhythms of the Batá drums and Rumba.